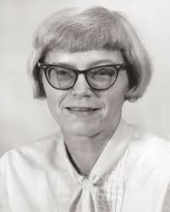 Joyce Travelbee was born in 1926 and is known for her work as a nursing theorist. In 1956, Travelbee earned her Bachelor of Science in Nursing degree from Louisiana State University. She was given a Master of Science in Nursing degree in 1959 from Yale University. Her career dealt predominantly with psychiatric nursing and education. She worked as a psychiatric nursing instructor at the DePaul Hospital Affiliate School in New Orleans, Louisiana, and worked later in the Charity Hospital School of Nursing in Louisiana State University, New York University, and the University of Mississippi. Travelbee died in 1973 at the age of 47. Travelbee developed the Human-to-Human Relationship Model of Nursing. The theory was presented in her book, Interpersonal Aspects of Nursing, which was published in 1961. The assumptions of the model are based on Soren Kierkegaard's philosophy of existentialism and Viktor Frankl's logotherapy. Existentialism places the accountability for people's choices in life on the people who make those choices. Logotherapy, which was first proposed in Frankl's Man's Searching for Meaning (1963), is a form of psychotherapy that makes the assumption that fulfillment is the best protection against emotional instability. The main concepts of the nursing theory are suffering, meaning, nursing, hope, communications, self-therapy, and a targeted intellectual approach. Each of these concepts is defined by Travelbee to help nurses understand the model. Suffering ranges from a feeling of unease to extreme torture, and varies in intensity, duration, and depth. The role of nursing in Travelbee's theory is to help the patient find meaning in the experience of suffering, as well as help the patient maintain hope. It is strongly associated with dependence on other people. It is oriented with the future. It is linked to elections from several alternatives or escape routes out of its situation. The desire to possess any object or condition, to complete a task or have an experience. Confidence that others will be there for one when you need them. The hoping person is in possession of courage to be able to acknowledge its shortcomings and fears and go forward toward its goal. Travelbee believed nursing should be accomplished through human relationships that begin with the original encounter, progress through the stages of emerging identities, and lead to the development of empathy and sympathy. The nurse-patient relationship is essential to successful patient care, and this relationship is established by an interaction process. Building the patient-nurse relationship takes place in five phases: the original encounter, the visibility of personal or emerging identities, empathy, sympathy, and the establishment of mutual understanding and a rapport. In this theory, health is both subjective and objective. Subjective health is an individually-defined state of well being in accordance with self-appraisal of the physical-emotional-spiritual status. Objective health, on the other hand, is the absence of any discernible disease, disability, or defect as measured by physical examination, lab tests, and assessment by a spiritual director or psychological counselor. This theory has greatly influenced hospice nursing in that hospice nurses focus on the relationships with their patients to improve quality of life.